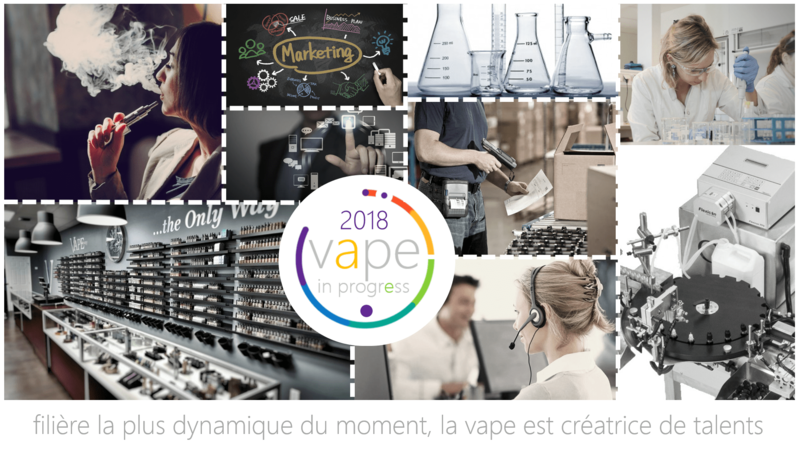 A few days ago, the Fivape (Interprofessional Federation of the vape) announced the organization of a Open Forum « Vape In Progress »To be held on May 28 à Bordeaux around economic themes on the trades (direct and indirect) of the electronic cigarette. As a partner of the event, the Vapoteurs.net editorial team wanted to know more! For that, we met Charly Pairaud, Vice President of Fivape for an exceptional interview. "A TECHNICO-ECONOMIC PRESENTATION OF THE ENTIRE PLAYERS OF THE FRENCH VAPE! " Vapoteurs.net : Hello Charly, you are a man who wears many hats, including that of Fivape, how the open forum "Vape In Progress" is complementary to your actions within this federation ? At each professional or institutional meeting, and given the misinformation of the last five years, we were forced to reposition the major interests of the electronic cigarette, to explain the know-how of the French industry, in a word, to revive the blazon of this breakthrough innovation that can save lives, before any type of formal or informal exchange. Without this intervention, our interlocutors did not really listen to us or even look at us. Once our vision is presented, the economic and strategic interests become much more coherent. Then came the idea of ​​making a technical-economic presentation of all the actors of the French vape. This would highlight all the expertise and all the trades that have been formed for almost 10 years, while recalling the strong relationship we have with our customers and all our partners. I think this is one of the essential roles of the federation. "I think too many professionals do not measure what has been Fivape's strategic role since its inception." "Vape in progress" in pitch mode (presentation in less than 30 seconds) according to its creator what gives ? - Imagine the future of the vape and its prospects. And to question us, I thought of Sciences-Po Bordeaux students (Via the Junior Company "APRI Influences") and INSEEC Business School which, moreover wanted to host the event. A big thank you to them! "It makes me feel like the tobacco industry is coming out this way"
What do you think are the three major issues facing the vape industry? ? - Business Challenges: Towards what prospects Eco France and International (Volumes, CA, Customers, Typologies of business (Shop, E-Shop, Manufacturers ...)? - Legislative issues: What legal framework do we aim for in France and in Europe? - Human Issues and Training: What are the needs that we expect for the next years? The event makes the buzz in the ecosystem of the vape, but do you already have returns beyond ? Indeed, I was surprised to see the interest of my colleagues on this conference day. They helped me financially to organize this event because they instantly understood that we could use the economic chapter to leverage the understanding of our industry. I was very touched when I received applause after my presentation of the open forum at the federation's General Assembly. Regarding the office of Fivape (which has reorganized and structured in recent months) the support was total, they trusted me. Today, I am proud to highlight the quality and efficiency of all the work they have done in recent years. Moreover, I think that too many professionals do not measure what has been the strategic role of Fivape since its creation. But I thank all those who join us because they are more numerous since early 2018! "An annual meeting of the" Vape In Progress "could be wise"
Would an editorial like "The world of tobacco" (tobacconists, cigarette manufacturers) be welcome at the open forum ? We are in a free country and I obviously consider that the press, whatever its specialization, must come to understand what is happening in this sector of the vape. I read again this week in the press truncated information taking up word for word the economic elements of one of the big actors of tobacco. It gives me the hair to see that this industry is put forward in this way, while in France it does not really represent a significant market. With regard to the tobacconists, I fully understand that they can distribute vaping products, and therefore, that a specialized tobacco press is interested in our dynamics is perfectly legitimate. It is time for them to understand, however, that independence remains and today it is she who drives the sales market in France for the moment. If in the United States there is the Coca-Cola / Pepsi model, in France the vape is closer to the dynamics of the winemakers and their diversity. If this event is successful, will you schedule another session, and if so, on what date? ? Why not, I do not think about it yet. An annual meeting might be wise, but I want business schools or strategy schools to be interested and tempo, I see an interest for future employees. "We can not imagine all the talents that have emerged in this economic adventure"
What is your vision of the vape in two years ? At the Fivape we are constantly trying to see clearly, but we lack the means to make accurate socio-economic analyzes of the prospects. I think that Vape In Progress is the starting point for this realization. The equipment will continue to develop (as for smartphones) and e-liquid will have to prove their safety in the long term (security, analysis, regulation etc ...). As for DIY ("Do It Yourself"), measures of securing practices seem necessary. All this without forgetting that it is a "consum'actor" product. One of the many questions that always arise is, for example "What is the place of the vaper in French society? And I recall that if we converted the "vapo-curious", we still have the "vapo-skeptics". The real challenge is here, in fine. What future for tobacco in France do you think ? This point was not planned in our (first) open forum. What I know is that today in France, pushes a tobacco that will not kill anymore. Indeed (I take my cap VDLV just for this example) it happens that at this very moment, I present the prospects of the vape to the farmers of the Dordogne who chose to grow vapouric tobacco for the production of nicotine liquid or flavors, for me the future of tobacco is here, among others. Before thanking you for your time, a message to convey ? You are typically an example of related trades in our industry, as are your colleagues in the trade press. But you are not the only ones, many other know-how are constantly added to the vape. We can not imagine all the talents that have emerged in this economic adventure and what is more, in the service of a noble cause: Save lives in smokers! To conclude I would say: La Vape, what an opportunity for our country which remains the country of flavors and perfumes and sadly smokers! A big thank you to Charly for taking the time to answer our questions. To know everything about the Open Forum « Vape In Progress »From Bordeaux, go on the official website.